Janet Napoles background discredits her as the mastermind of the 10-billion peso Priority Development Assistance Fund scam (PDAF) or A.K.A pork barrel scam, due the much needed knowledge on the labyrinths of the bureaucracies. Napoles hasn’t finished college, she grew up in Basilan, far from the politics of Manila and she hasn’t even worked in the government but rather for Non-government offices (NGOs). It was Napoles’ lawyer who revealed last year to Justice Secretary Vitaliano Aguirre II that Senator Frank Drilon, Antonio Trillanes, former President Benigno Aquino III’s budget secretary Florencio Abad and Leila de Lima were associated with the pork barrel scam. The Liberal Party and the Philippine Daily Inquirer demonized the image of Napoles through making her look like the mastermind behind the pork-barrel scam and eventually assassinated Chief Justice Renato Corona, two heinous crimes that the Liberals hid. But when finally the Judiciary decides to take Napoles as a state witness, the key to the revelation of the crime and those involved in it. Napoles was incarcerated due to having kidnapped her assistant Benhur Luy. Her hearing’s verdict arrived at record breaking speed as only after a year, she was sentenced to a lifetime of imprisonment. Intriguing as it may be, there must be a reason behind why Napoles’ case broke records, on why the only loose end of the pork barrel scam would be litigated immediately with a predetermined verdict of isolation in incarceration that not only silences her, it poses dangers to herself. There is also claims that Aquino, Abad and Drilon were friends of Napoles, a clearly intriguing fact that sparks controversy considering that they’ve never noticed Napoles and her scam after being in the Congress for more than 20 years. To add up more to the facts, there has been multiple photographic evidences of Aquino together with Napoles and her family, smiling from ear-to-ear, evidence that Aquino’s spokesman Edwin Lacierda fetches Napoles from hiding to talk to Aquino and Abad. Even when Napoles was to be sent to Camp Crame, Aquino and Mar Roxas accompanied Napoles to her cell, even leaving instructions to the warden. So is there no link between the two, Aquino and Napoles? The link here is that, the Liberal Party wants to make sure that Napoles cooperates with them at all costs, mere presence of a powerful man like the President will force such a simple citizen like Napoles to cooperate. But all will eventually come to light, as the administration of President Rodrigo Duterte, with Napoles as state witness, needs to unveil the pork barrel scam. 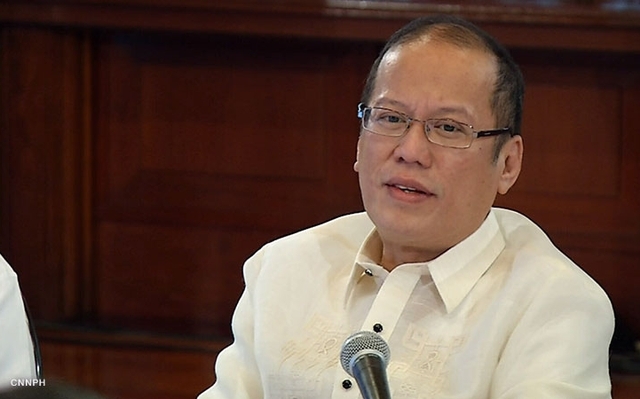 The Commission on Audit’s special audit during the Aquino’s administration does not exist and has yet to be audited. The majority of congressmen who are not Yellow are being charged graft under allegations of pocketing pork barrel money. And the three senators front line opposition senators which includes Jinggoy Estrada and Bong Revilla, who are famous in the eyes of the people were charged of pork barrel graft and the others were not. It seems like the opposition are using cover-ups to prevent any more doubts regarding their connection with the pork barrel scam. This can be proven during the hype of the pork barrel scam when the opposition had Chief Justice Renato Corona impeached under the intentions of appearing noble and upholding Aquino’s electoral motto, “matuwid na daan”. This impeachment gave the Aquinos P5 billion for it put its land, Hacienda Luisita, under agrarian reform and gave him free reign over the court. Meanwhile the pork barrel scam was to, at most, eliminate the opposition and easily take over the seat of presidency. Sadly, despite campaigning this “matuwid na daan”, the person that the people put their trust into under the assumption that the Philippines would change once all the corruption is eradicated, betrayed his own nation, his own campaign in order to maintain his rule and riches, paying no heed to those he may run over and using everything and everyone in his power to feed his and his family’s greed.